Anthem is one of our new Old English Sheepdog pups being raised in her guardian home in the Northern California region! 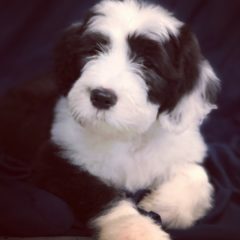 She will be one of our founding girls for our 2020 Sheepadoodle litters! We are so excited about this upcoming venture!